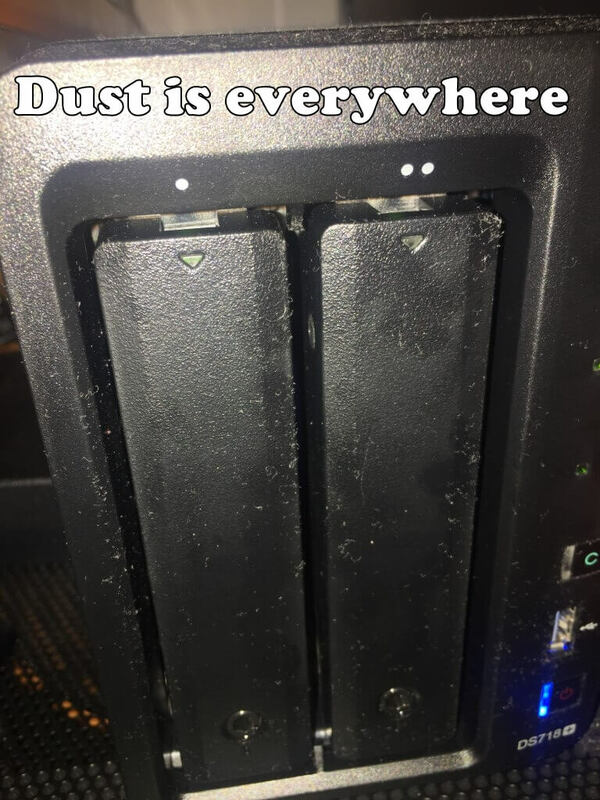 Have you noticed dust on and in your synology nas? 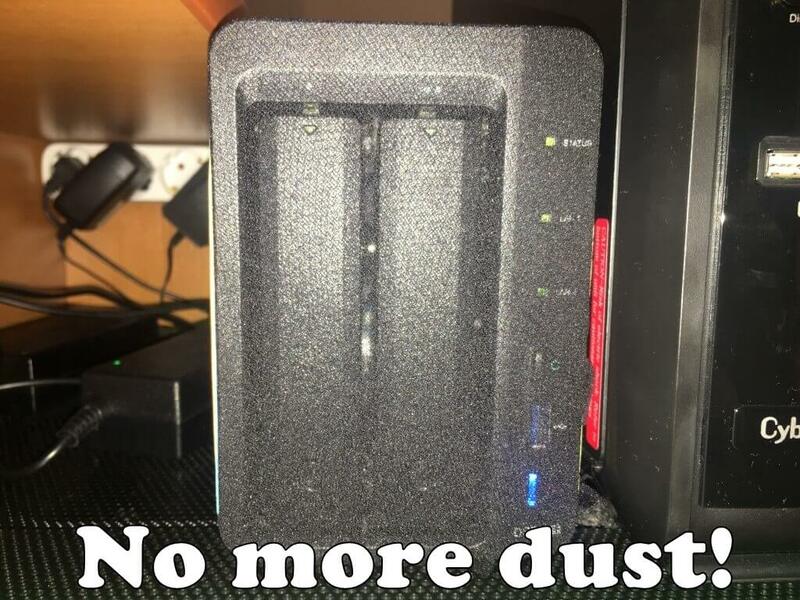 Dust accumulates both on the outside and on the inside and in a maximum of 2 or 3 months your synology will become a vacuum cleaner. Dust is one of the most insidious enemies of electronic devices like HDD, motherboards and processors. 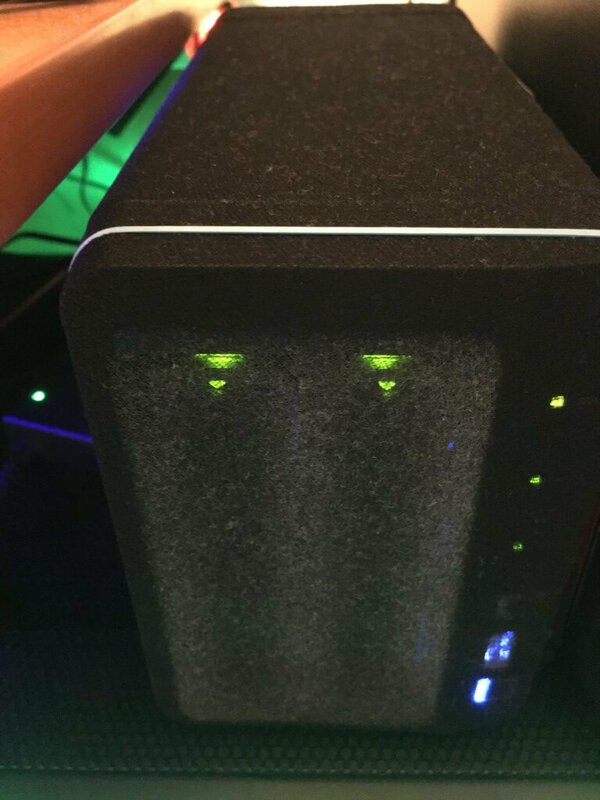 Many people waste time using expensive products such as compressed air cans that will only “push away” the dust particles from your synology, without removing them from the surrounding environment and, in a short amount of time, your synology will be contaminated again. 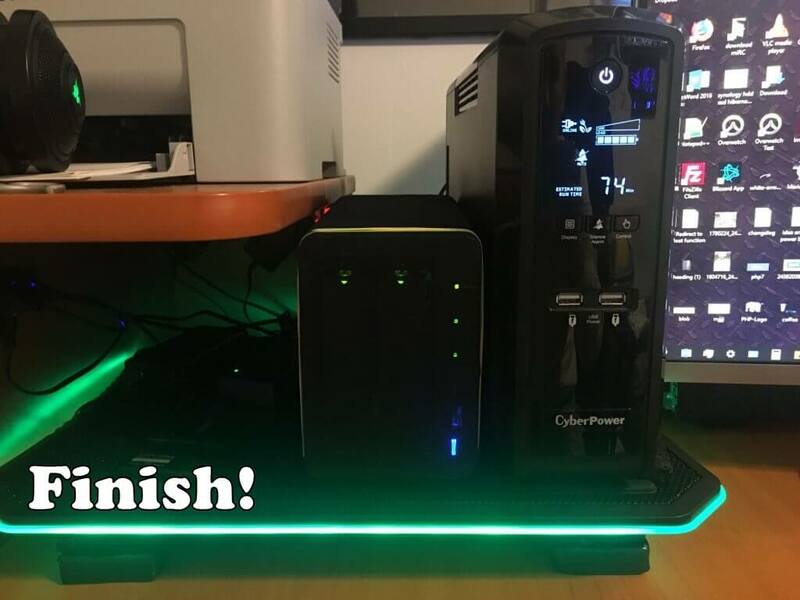 This method will waste your time, it requires putting your synology offline, unplugging it to eliminate dust, which is sad. A good idea came to my mind and I bought women’s pantyhose; “no, I’m not a cross-dresser”. Just cut the upper part of the pantyhose and insert your synology in it, then tie it with a simple rubber band. All for a ridiculous price of $ 0.50. 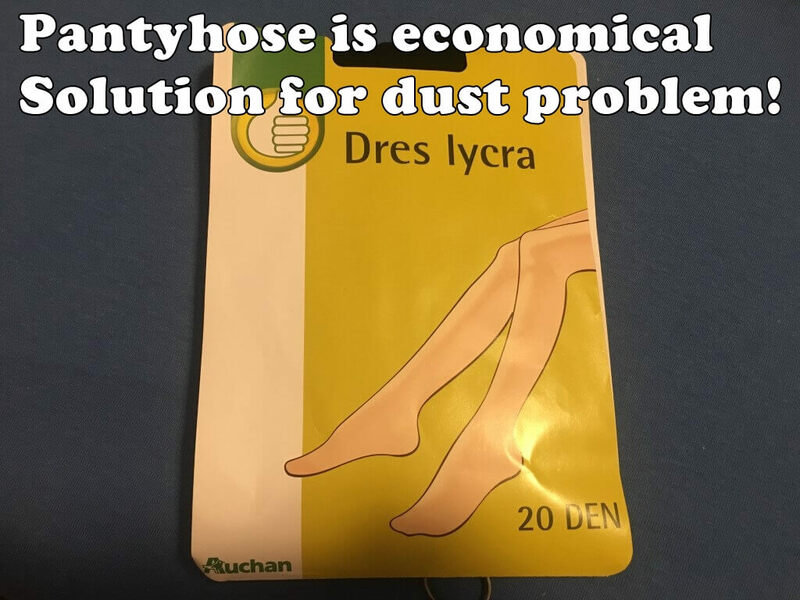 You have to buy pantyhose with the wording 20 “Den”, the thinnest but also the cheapest ones. 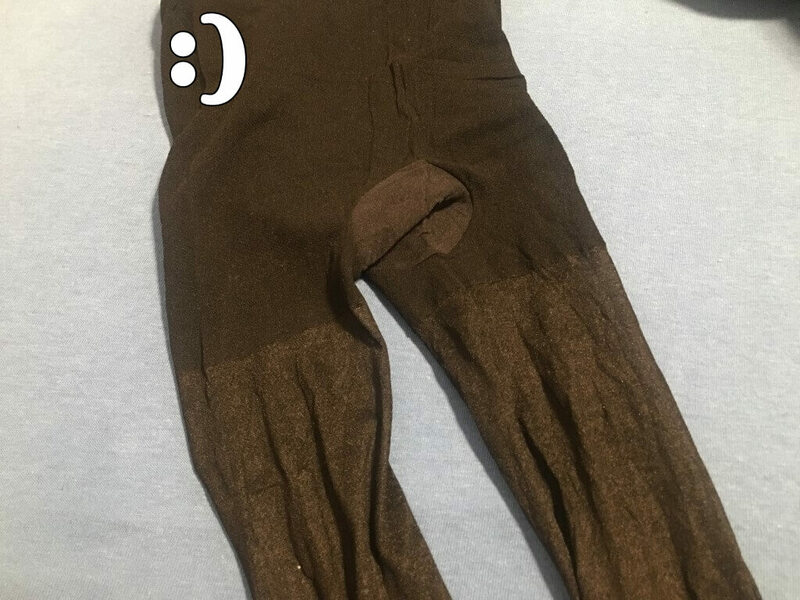 Do not buy pantyhose with higher “Den” values because these will not allow air to circulate. Follow this image guide step by step. Step 1: Buy pantyhose. It’s an economical solution for dust problem. Step 2: Remove the pantyhose from the package. 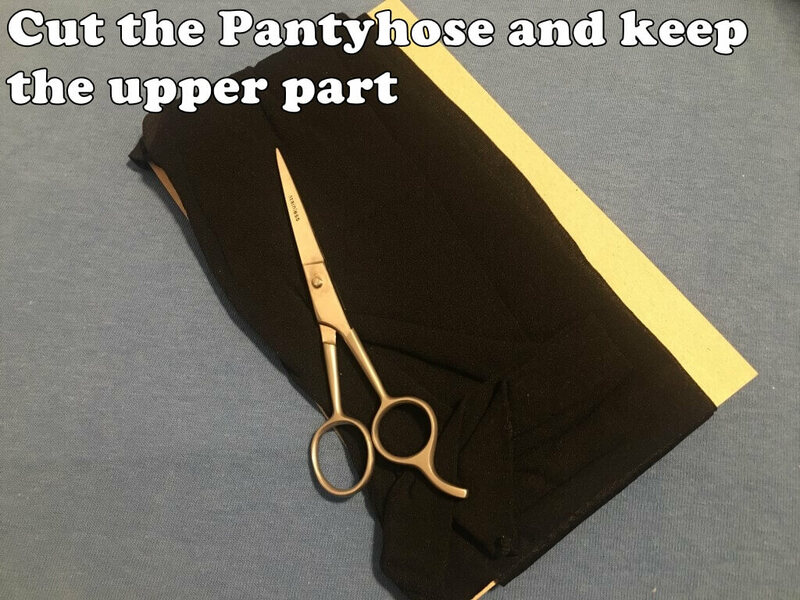 Step 3: Cut the pantyhose and keep the upper part. Step 4: No more dust right now. 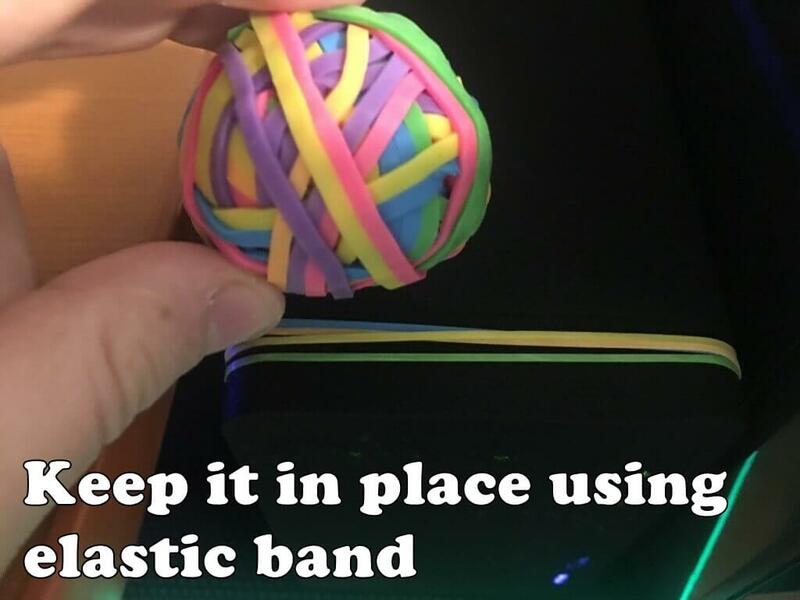 Step 5: Keep it in place using elastic band. (My elastic bands were to tight, so I had to use more than one). Step 5: Finish. It looks nice, doesn’t it? This is a one week follow-up. 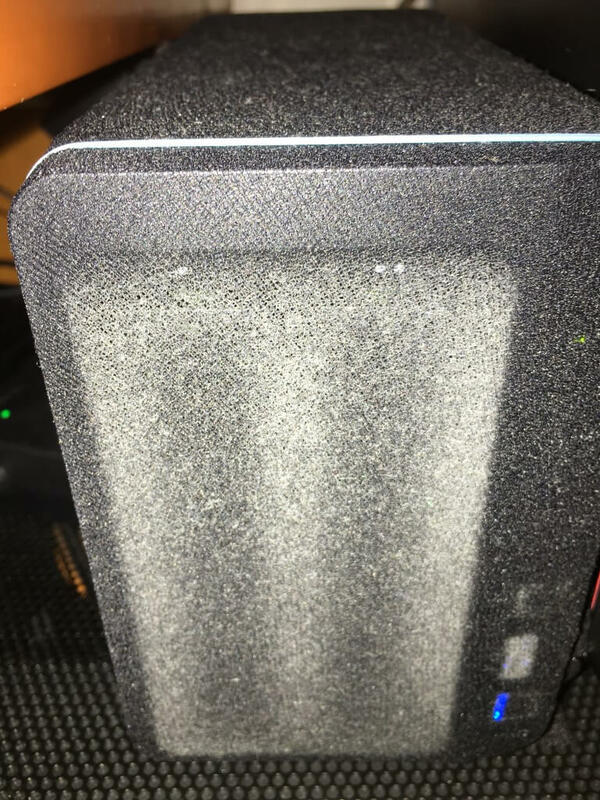 You can clearly see the dust accumulated on the pantyhose and none of it could get in my Synology Nas. 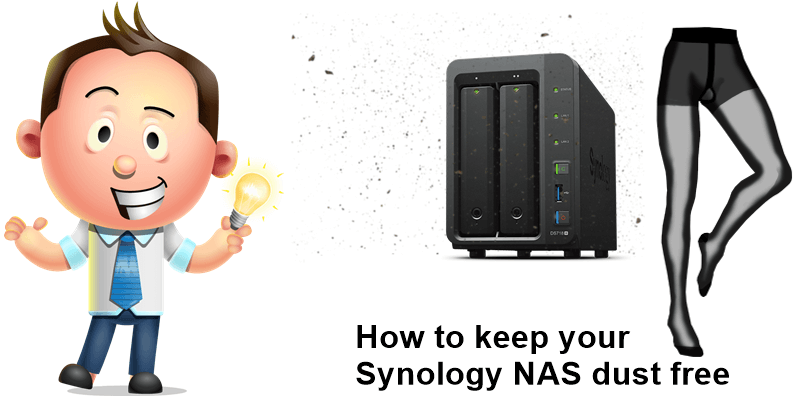 Once the pantyhose are filled with dust, remove and wash with warm water, wait until they dry and put them back on your synology nas as dust protection. This protection is highly efficient, you can also completely cover the fan at the back without any problem. What you will notice in a short time will be “incredible”: all that dust on the pantyhose that would have been deposited inside your synology, all over the electronic circuits, is now on the pantyhose and can’t reach the inside of your device. Have you tried my method? What do you think: does it work for you as well as it does for me?